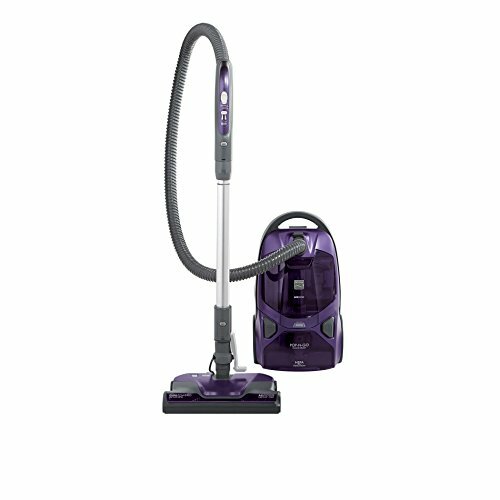 Kenmore 600 Series Bagged Canister Vacuum with Pet PowerMate – Versatile Cleaning Convenience. Pesky pet hair, allergen-inducing dust and inconvenient crumbs are no match for the cleaning power of the Kenmore 600 Series Bagged Canister Vacuum with Pet PowerMate. This handy small appliance tackles hardwood, laminate and carpet with ease thanks to its multipurpose all-floors design. A POP-N-GO floor brush located in the front storage case makes quick work of messes while a motorized Pet PowerMate attachment lifts stubborn hair, dander and more from carpeting, baseboards and furniture without issue. If you want to make housework less of a hassle, make sure you invest in this well-made, reliable bagged canister vacuum from Kenmore. Compatible with Kenmore Canister HEPA Bags, 2-Pack, 02053291.